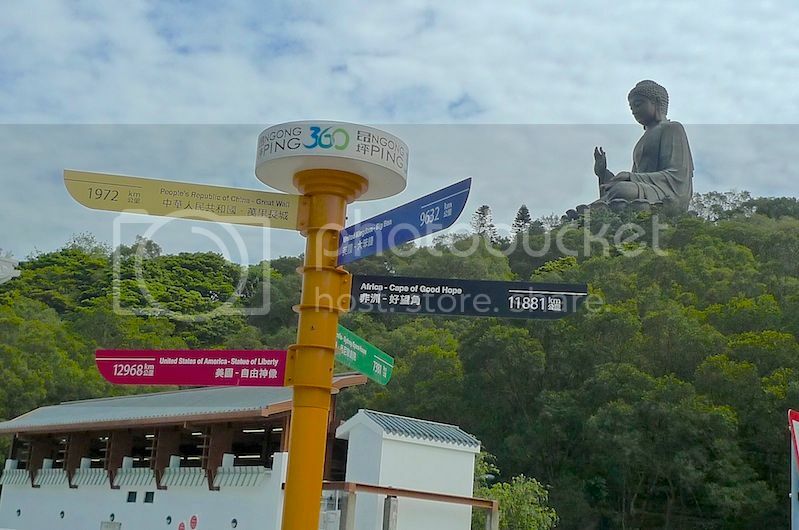 On our fifth day in Hong Kong, my friend and I visited the Tian Tan Buddha in Ngong Ping. 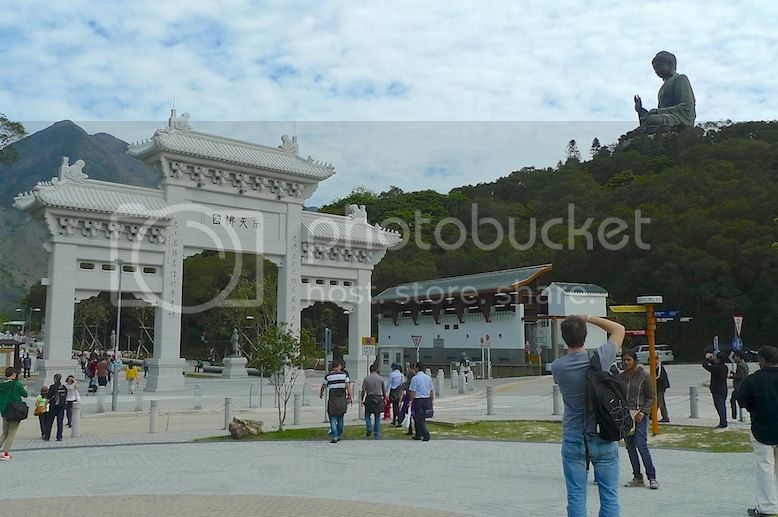 We had reached Ngong Ping via the memorable cable car ride from Tung Chung. 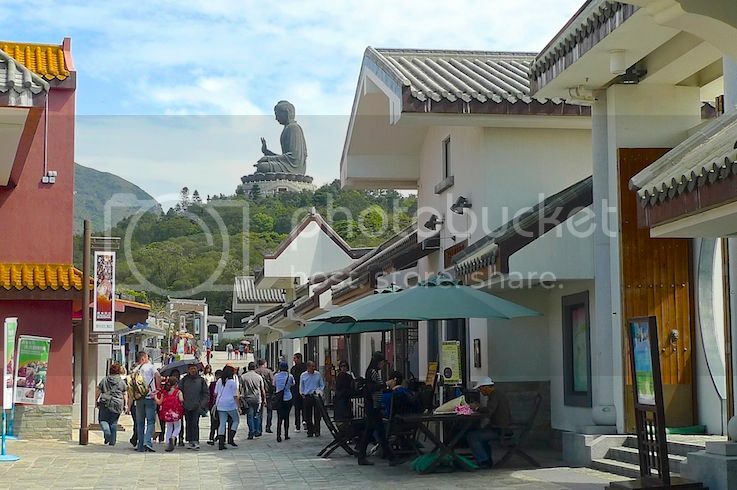 Before we reached the Tian Tan Buddha, we walked through the Ngong Ping Village. 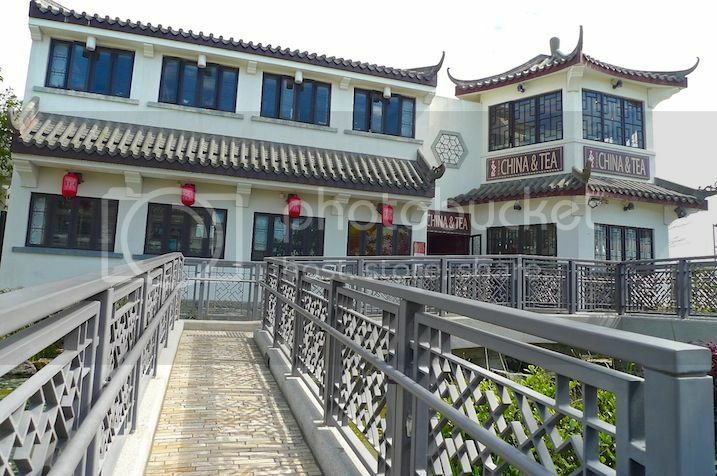 We passed by Linong Tea House but did not go in. 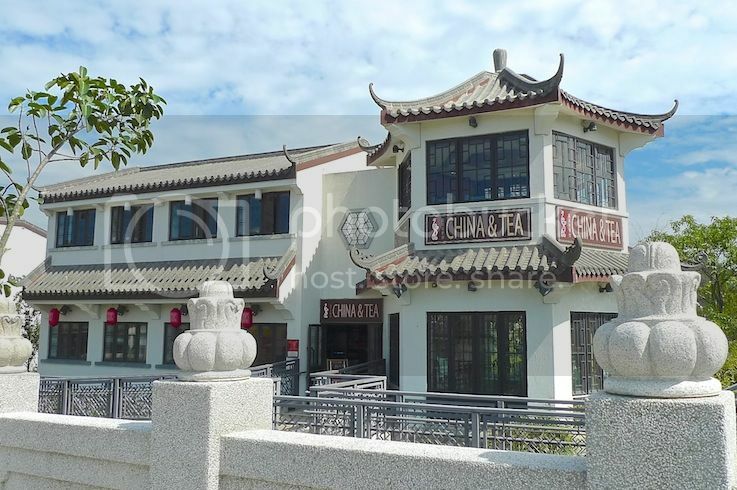 The building looked rather impressive from the outside with its Chinese style architecture. 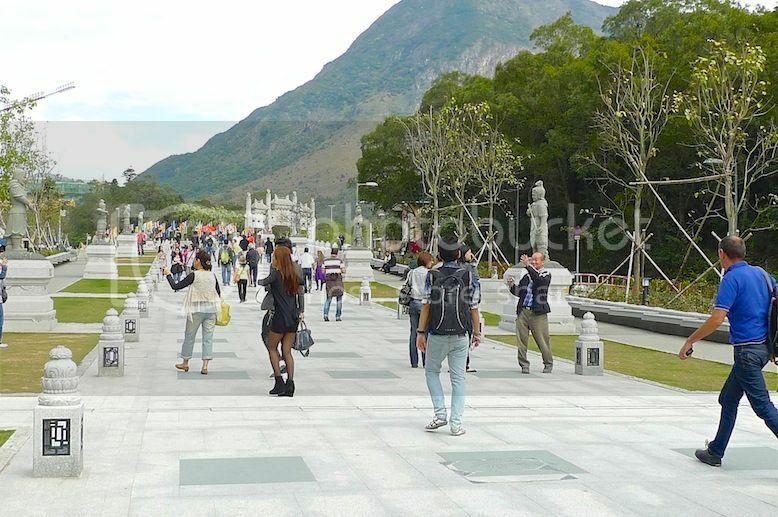 Strolling along the walkway which was filled with shops on both sides, I could see the Tian Tan Buddha (also known as the Big Buddha) in the distance. Cute dolls in front of a shop. 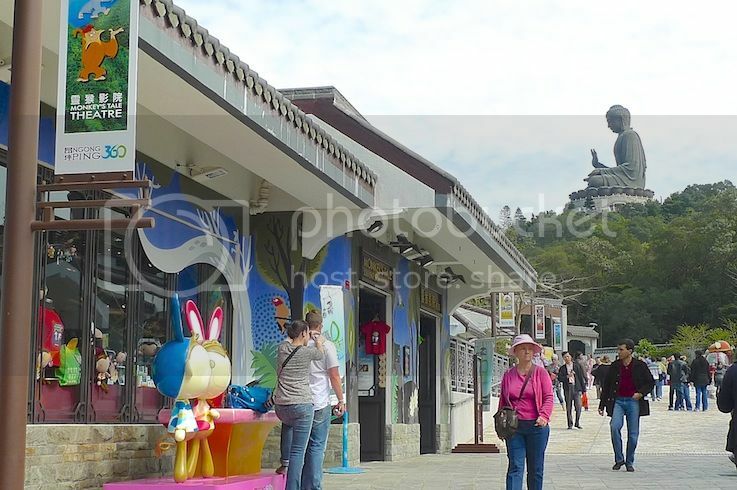 There were a couple of attactions at Ngong Ping Village but we did not visit any of them. The first is Walking With Buddha, an interactive multi-media attaction that takes visitors through the life of Siddharta Gautama, the man who became Buddha. Another attraction is Monkey's Tale Theater which is a short animated film for kids. You need to pay for both the attractions. 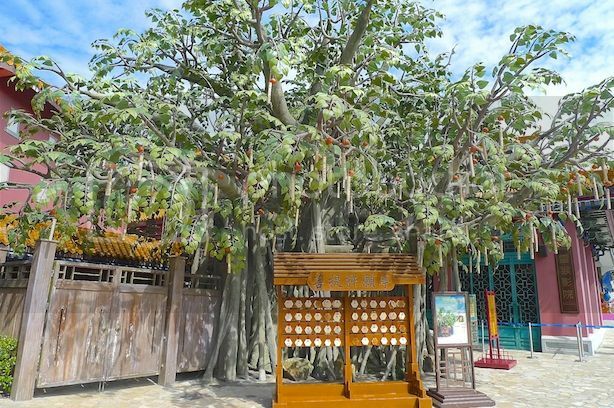 We also came across a Bodhi Wishing Shrine under this Bodhi tree. It is believed that wishes made at this shrine will come true. The Bodhi tree was the tree under which Siddharta meditated and eventually attaining Enlightenment and becoming Buddha. 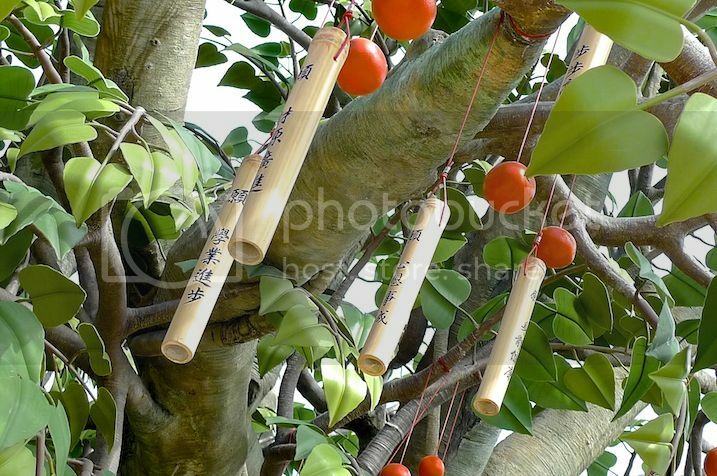 You can write your wishes on a card and post it at the Bodhi Wishing Shrine for your wishes to come true. There's a catch however. 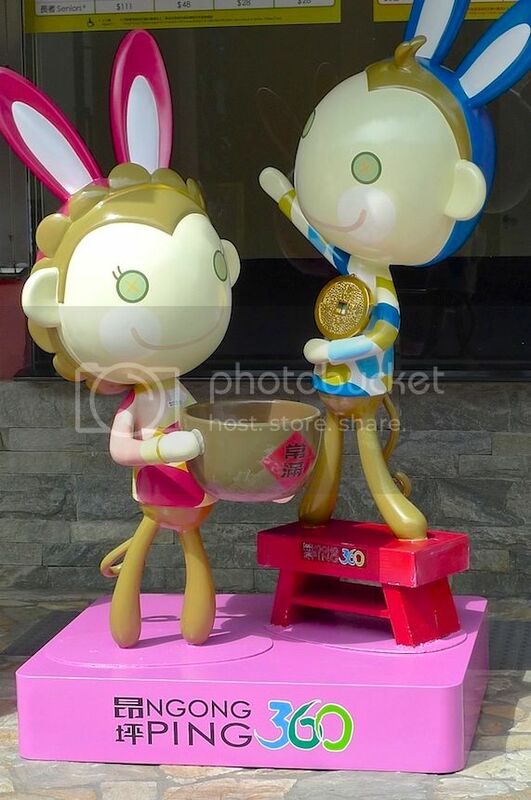 You would need to spend at least HK$150 (US$19 / RM63) at Ngong Ping Souvenir Shops to redeem that wishing card. We did not bother. I was not impressed with the place. 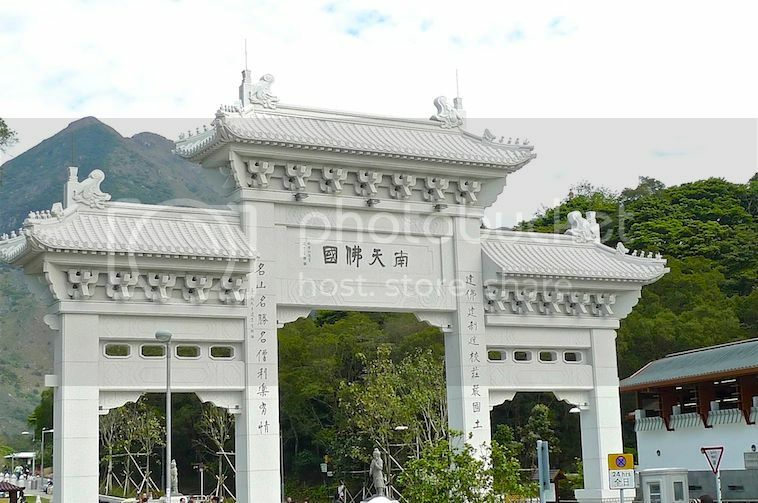 Somehow, I felt that the Ngong Ping Village was more like an excuse to squeeze as much money as possible from tourists. The souvenirs sold here were quite expensive - you can get the same souvenirs at cheaper prices at the Ladies Market in Mongkok - and the place did not even looked like an authentic village to me. Definitely a tourist trap and an overrated place if I may say so. Since our main intention was to see the Big Buddha statue, we did not spend too much time at the village. 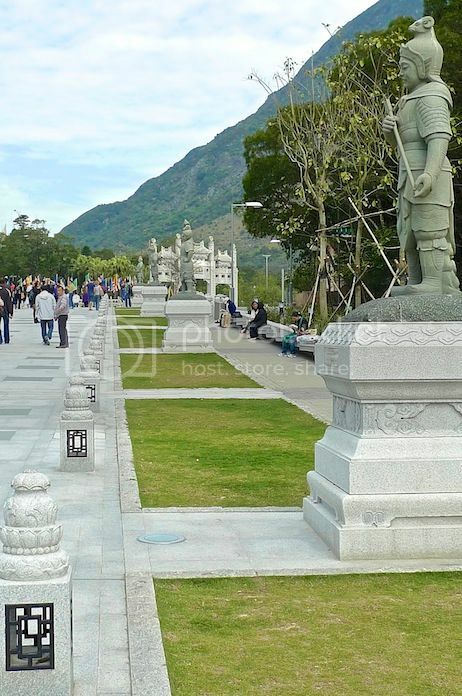 Soon, we reached the entrance arch leading to the Tian Tan Buddha. Nice arch with beautiful rooftop carvings. Passing the arch was a huge open space with statues lining up on both sides. 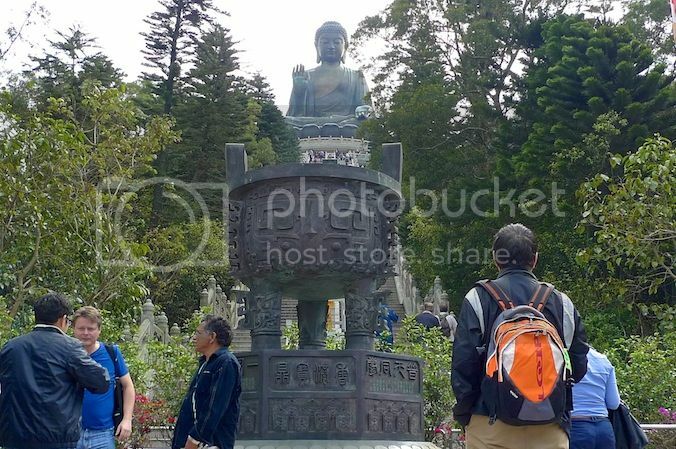 It was a short walk before we finally reached the Tian Tan Buddha.